Posted by bednarma on Thursday, March 15, 2018 in News. 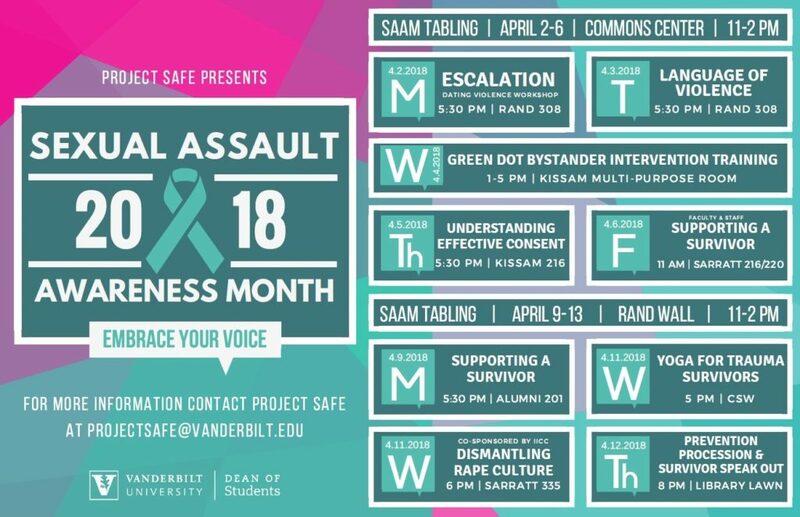 The Prevention Procession is a time to raise awareness about sexual assault, as well as a chance to show solidarity with survivors of sexual violence. All survivors, as well as any supporters, are welcome to join. After the procession portion, survivors will have the opportunity to share their experiences and the impact violence has had on their lives. This is intended to be a safe space for all and Project Safe Staff will be on hand to support anyone who may need it. Please consider bringing your friends and members of your organization to hold a sign and show support. RSVP here.